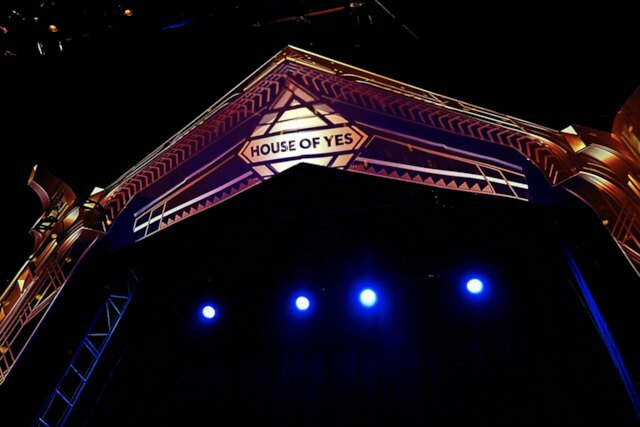 If you've ever doubted that you enjoy a good dance party, POLARI, a new biweekly event at House of Yes that launches this Wednesday, promises to be a scene at which you can quash those doubts. It’s for “queers, gays, circus freaks, [and] dance floor divas,” but anyone else who's down to dance will have fun in this adult amusement park. DJs Purevile and Sammy Jo will be spinning New Wave, Disco, 90s House and early hip hop, but the music isn’t what sets this party apart. “There’s a real lack of great queer dance parties that also have a performance element to them,” said organizer Eric Schmalenberger. As such, go-go dancers, drag queens, and circus performers will coat the walls and dangle from aerial apparatuses. Wear a costume, or don’t: whatever you choose will be embraced. “[Come if] you want to cut loose in a space that’s super friendly, safe, queer, and open,” Eric said. It’s $5 to get in and drinks will be in the $6-12 range. If you can’t make it out this week, don’t worry: POLARI will be roaring every other Wednesday, because we all deserve the chance to dance off some mid-week steam. Or as Eric so succinctly put it, “have a great time and get laid.” We like your priorities, Eric. House of Yes is located at 2 Wyckoff Ave at the corner of Wyckoff and Jefferson off of the Jefferson L train stop. RSVP on Facebook, get your tickets on Eventbrite, and we'll see you there.